With this alternate, that means the all-black uniforms that they debuted in 2015 are no more. These new throwback alternates can be worn for two games this upcoming season — one which will be for a prime time game. Overall I am satisfied with this unveil. Having an all-white throwback from the team’s last Super Bowl winning season is great. Everything is accurate except for the socks but I can let that go. It’s a welcomed return to an era that was so good to so many fans. 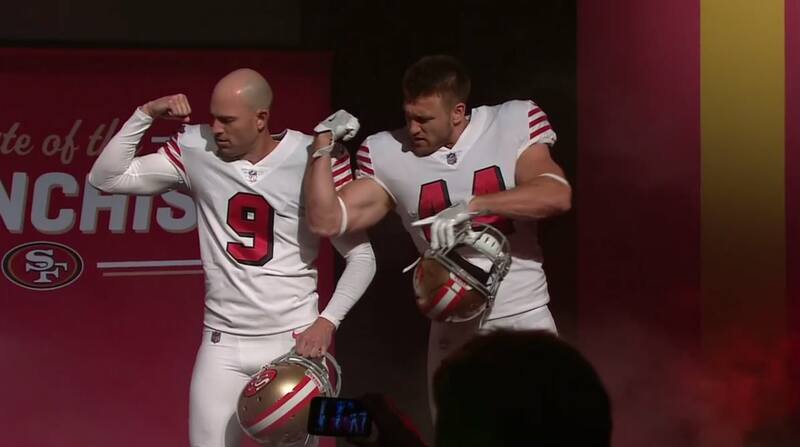 Also it was nice to have Jerry Rice model the jersey with some players as well. Fans can now purchase these jerseys for current players or even former players who wore them in 1994. 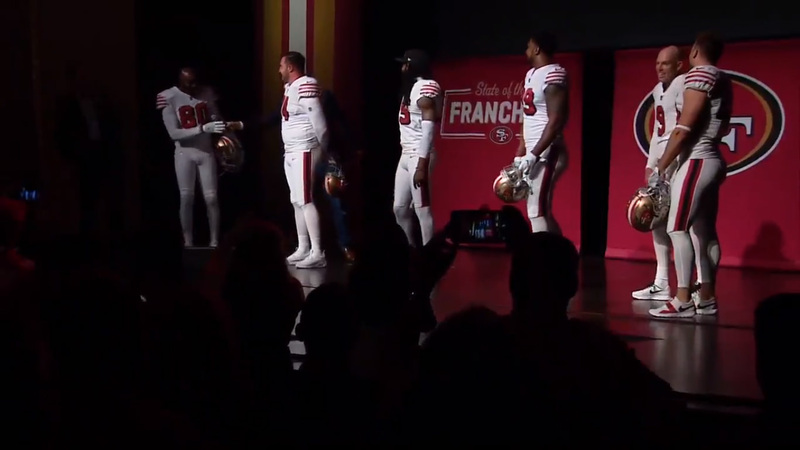 You can watch the uniform unveil here. This entry was posted in New Sets, NFL, San Francisco 49ers, Uniforms & Design and tagged Throwbacks. Bookmark the permalink.